I know I haven't been around for a while, but sadly writing blog posts is something that I really don't have a lot of time for at the moment. 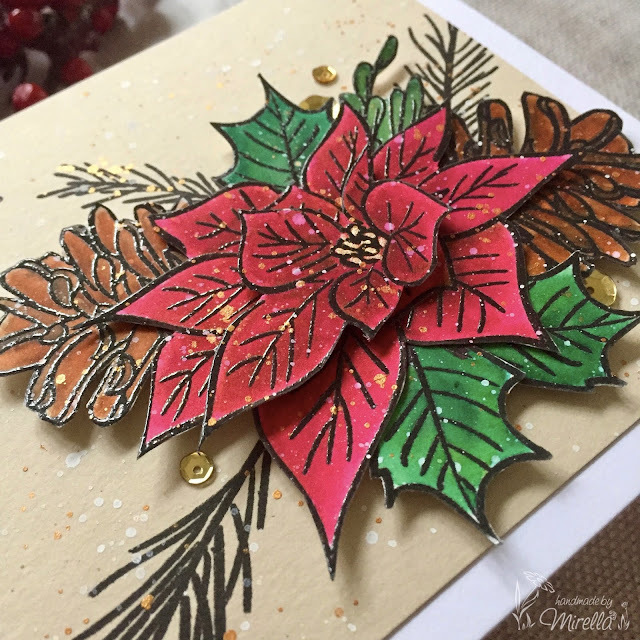 I prefer to craft instead, when the spare moment comes, I'm sure some of you can empathise? :o) I update my Instagram account really regularly and frequently, though, so if you want to see more of my work, I would suggest you look for me there! 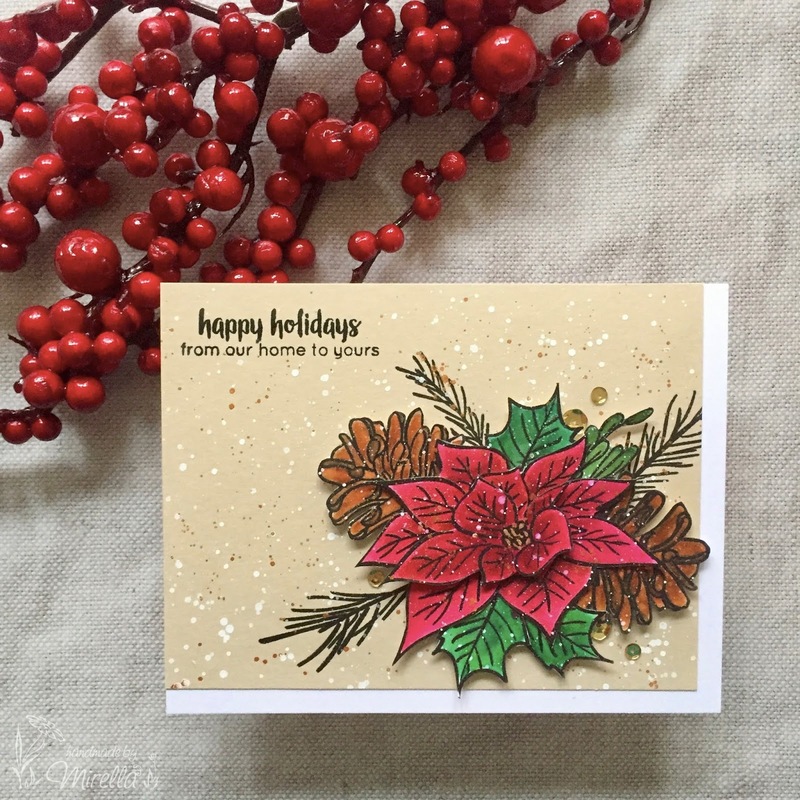 Today, I am sharing with you two cards that I made with the gorgeous Poinsettia and pine stamp set by Altenew. 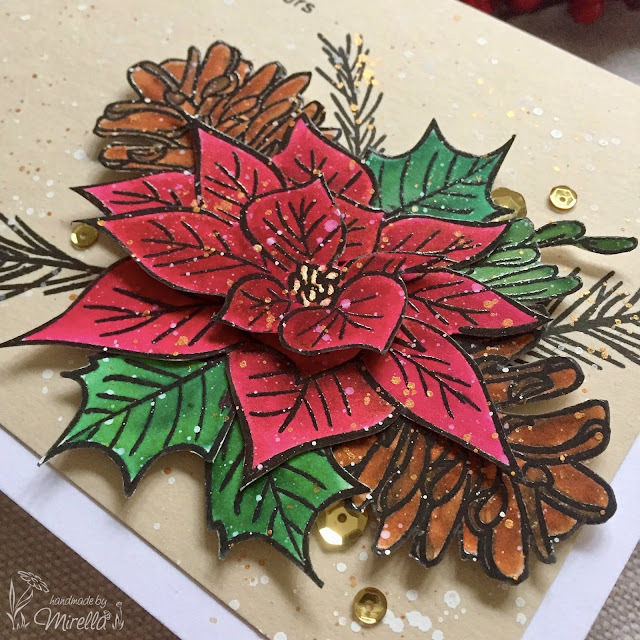 At first, the stamp set might not look like much, but once you start combining the various elements, and making arrangements out of them - you end up with gorgeous, Christmassy and elegant cards in no time! 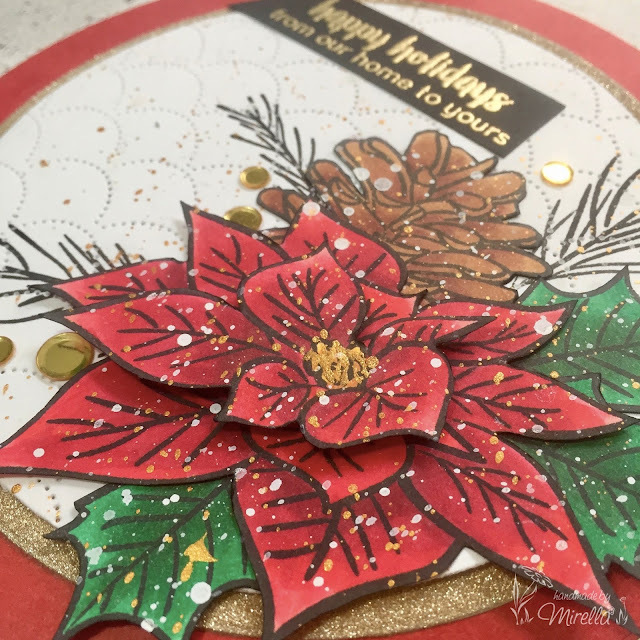 I don't have the coordinating dies, and I can imagine that they can make the job even easier, even though I must say - I kind of prefer the fussy cut (or masked) looks for these particular stamps (so in other words, I like them more where there is no white border around them)... However, it all depends on the card design, of course! 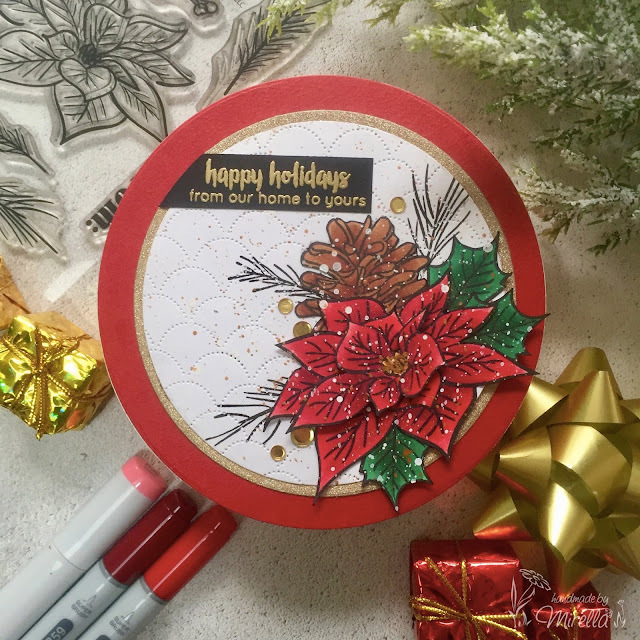 As you can see, both arrangements of the stamped elements are quite similar, yet the end result of the whole design looks totally different! I had loads of fun making these, and I love how both of them turned out.